Barry Allen is still determined to rescue the so-called King Shark from the clutches of The Suicide Squad. 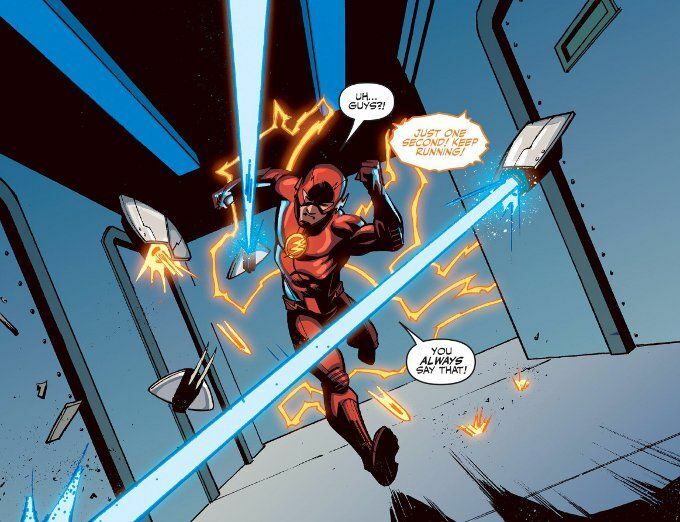 But even with Cisco and Caitlin backing him up and blueprints of ARGUS' headquarters and security systems, can The Flash accomplish this impossible mission? Not if Amanda Waller has anything to say about it. And armed with some newly built drones designed specifically for bringing down The Fastest Man Alive, she may indeed have the last word. This issue marks the first time Eric Gapstur has handled the art duties on this series himself and it proves a welcome change. I love Phil Hester's artwork but his blocky style seemed a little stiff for The Flash. Gapstur's style is more fluid and there's a greater sense of motion to the book as a result. The script itself is as enjoyable as we've come to expect from this creative team. 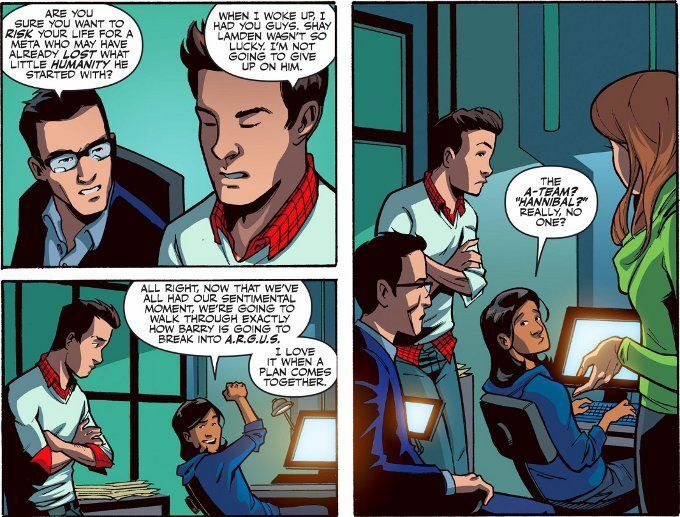 Cisco makes A-Team references nobody else gets but proves to be far more than simple comic relief as he takes charge in the field and comes up with the plans that keep Barry in once piece. And while I side with those who dislike the newer, slimmer Amanda Waller design, I cannot deny that John Ostrander's Wall is very much here in spirit, no matter her appearance.